Travis Snyder brings to PFC a solid foundation of military and law enforcement experience with over 21 years of service as a police officer. Beginning his career in the United States Air Force, he served in both CONUS and OCONUS locations as a Security Police Law Enforcement Specialist. While in the military, Travis excelled in air base ground defense and received training in a variety of heavy weapons. In recognition of his talents, Travis was selected to serve as a member of an Emergency Services Team (EST) where his tactical career began. In 1997 Travis left the USAF to become a police officer for a civilian law enforcement agency in Southern Nevada. During his career, he has worked a variety of assignments to include patrol, street level narcotics, and gang enforcement. For the last 12 years, Travis has been a member of his agency’s SWAT team. While in SWAT, Travis has held multiple roles to include entry officer, entry team leader, breacher, explosive breacher, and Assistant Tactical Team Leader. As a Team Leader, Travis has been responsible for the planning and execution of high-risk search warrants, resolution of barricaded subject incidents, and management of hostage rescue missions. 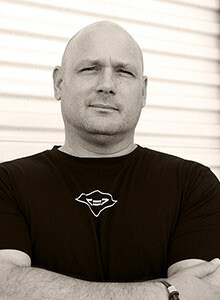 Travis is currently in charge of tactical training and development for his agency’s SWAT Team. He provides lead instruction in firearms, manual and explosive breaching, covert and dynamic movements, vehicle assaults, active shooter, hostage rescue, open area searches, active countermeasures, and mission planning. Travis is also his department’s lead instructor for Active Shooter Response and Defensive Tactics. In addition to his tactical knowledge, Travis is an accomplished martial artist who continues to train and compete at a high level. With over ten years of MMA and Brazilian Jiu-Jitsu experience, he is a former World and American National BJJ champion. Over the years, Travis has excelled as an instructor in Brazilian Jiu-Jitsu and coached his students to World, Pan American, and American National championships.